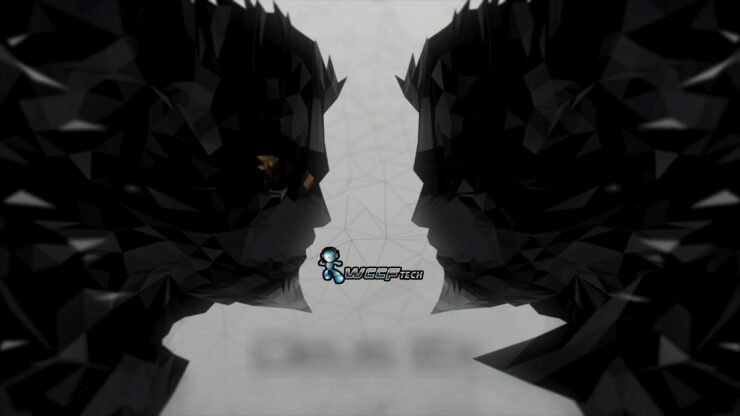 Deus Ex Mankind Divided is the latest entry into the Deus Ex universe and we’re going to look at the performance of this game. Powered by the Dawn Engine Deus Ex was supposed to have full DX12 support at launch, but was later changed and is now coming soon. 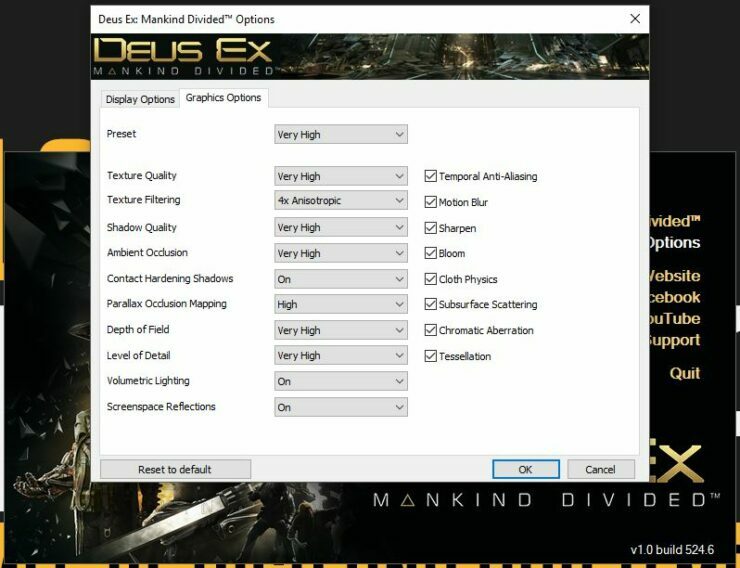 We’re using the game’s preset quality settings and instead of going straight for “Ultra + MSAAx2” we actually went in favor of the “Very High” preset as it already has Temporal Anti Aliasing enabled in the preset. 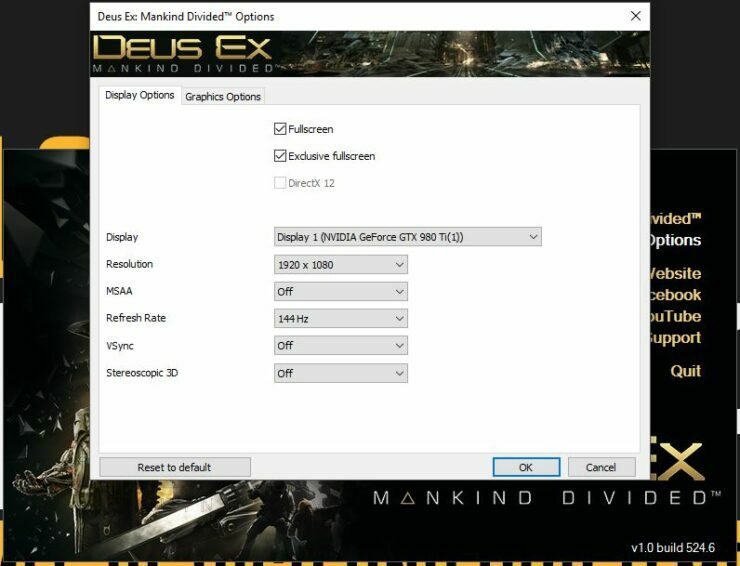 Running through our gamut of graphics cards at 1080p, 1440p, and 2160p/4k we see right away that Deus Ex Mankind Divided is bringing graphics cards to school in DX11. 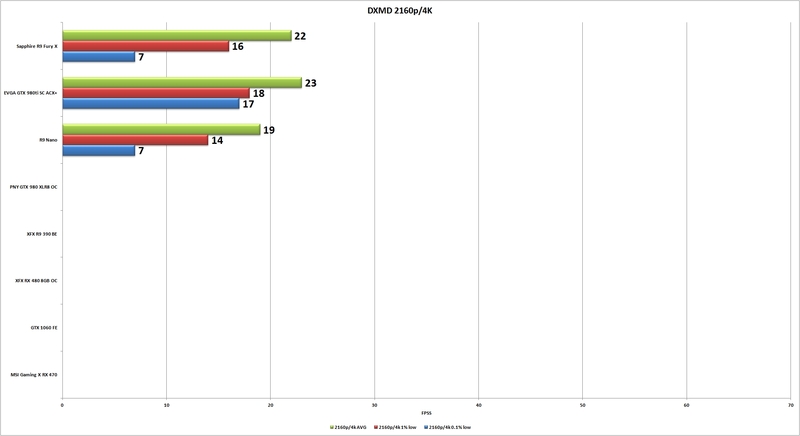 We can only hope that DX12 makes a bit of difference. 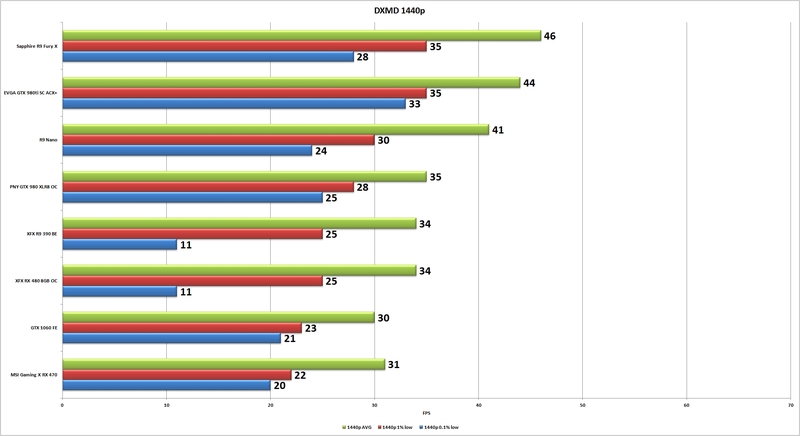 For testing we used the entirety of the games built in benchmark using FRAPS to capture an analyze frames for an Average, 99th Percentile, and 99.9th percentile results. It’s easy to say that Radeon is performing favorably in Deus Ex: Mankind Divided. The RX 480 is performing very well for the price point, but at these settings you’re going to want to be packing at least a Fury X/980ti or better to get the best experience at 1080p. 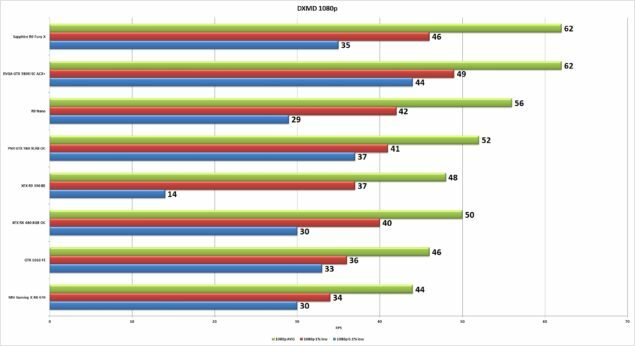 This is a game you’re going to want to spend time optimizing your settings and finding that sweet spot because otherwise this game is set out to destroy what you once thought was a powerhouse of a rig. Hopefully that changes once DX12 is made available, you bet we’ll be coming back to this game once that does.